Underwriting is critical to the sustainability of the Prairie Window Concert Series. All levels include recognition from stage, on venue underwriting posters, on the concert program, and on the website. Bluestem Level underwriters have the option of using a logo for the 2018-19 season. 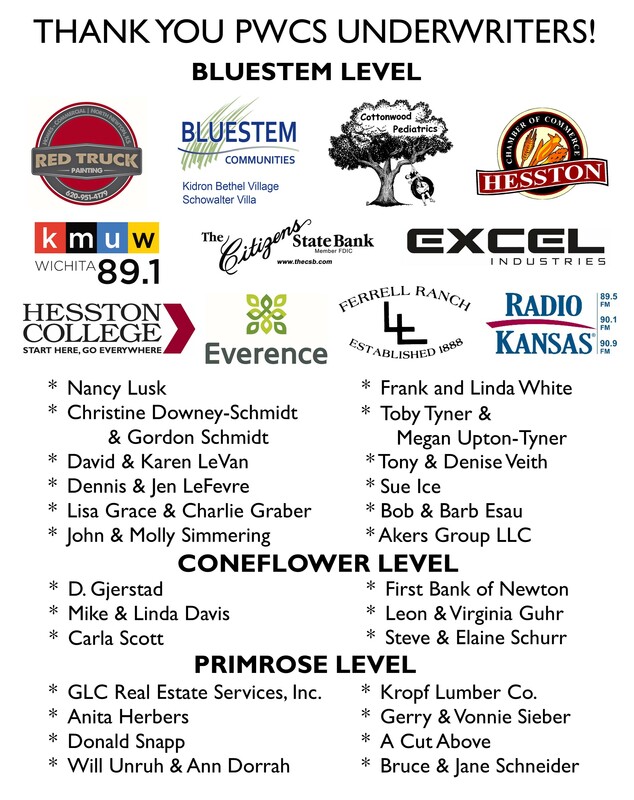 Talk to Brad Guhr at 620-327-8127 / brad.guhr@hesston.edu or simply make one of the above underwriting level donations through our secure Hesston College-“Dyck Arboretum Donations” link by clicking HERE.